Housing has been given it’s own zone, and the new zones can be found attached to the low level areas outside of the starting cities. If walking isn’t your thing however, you can complete a quest in each starting town that will allow you to use that towns Aethernet to teleport directly to the housing zone. 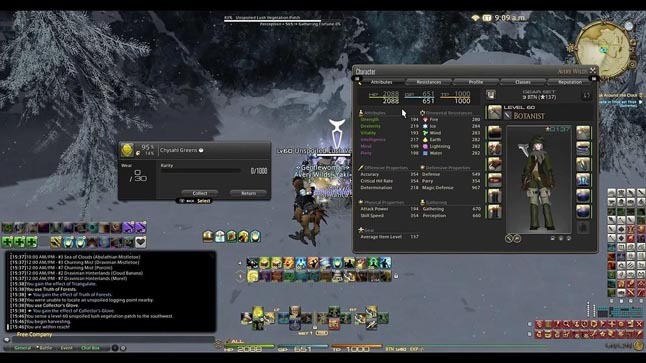 We all know that the duty finder plays an important role in FFXIV. Even the lifeblood of the game. But it’s not an easy thing to make the most of it. Coming to prepare and understand it is a wise choice for players. Some find the duty finder to be a chore full of “bad players” but the reality is that like anything in life, the duty finder is only as good or bad as the company you have with you – which of course is random unless you enter with a premade. This is a basic primer to the duty finder, along with some tips on how to make your dungeons more successful, because with just four man groups, one person can make the difference. What is the Duty Finder? The duty finder is used in a variety of methods to run dungeons, raids, trials, and guildhests. There is a wide variety of duties in the game, and the duty finder is used primarily to find groups to do instanced duties with. 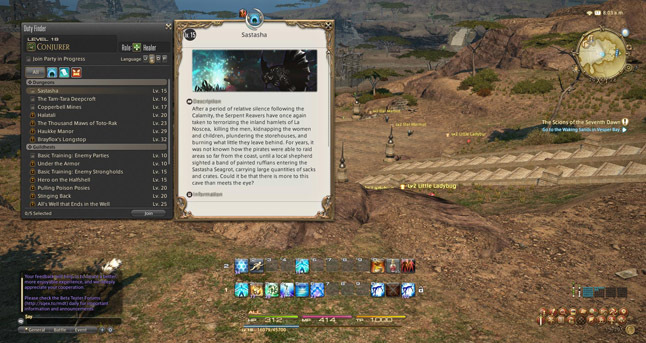 Completing a duty finder mission often includes additional rewards, vs just zoning into the instance, like Seals, Poetics, Laws, Esoterics, and Gil. Generally speaking, most things are solo queue’d for, but you can bring groups in. You can also join with fewer than the necessary amount, but you won’t gain EXP for killing enemies nor Soul Resonance / Spiritbond points, but won’t be subject to the ilvl / level sync or the role requirements. The duty finder has locked roles, meaning that Marauder and Gladiators are tanks, Conjurers are healers, and all others are DPS. This is ignored for undersized parties. 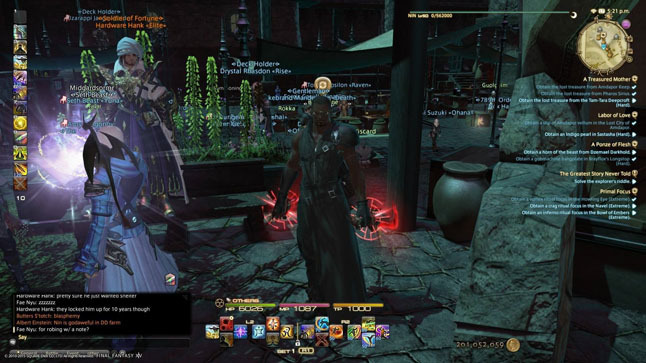 Duty Roulette is a way to encourage high level players to fill spots in low level dungeons, which are required for players to continue along with their story missions. They come in several flavors: Level 50 / 60 Dungeons, Leveling, Expert Dungeons, Trials, Main Scenario (which includes the riads), Guildhests, and Frontline (PvP). Rewards for completing them are listed in the Duty Finder, along with the “In Need” bonus which gives extra Gil and possibly seals if you’re a role that needs to queue. A good tank can learn the right speed to pull for the group, without assuming every group is going to be able to plow through the content. Considering ilvl limits, it’s rational to keep an eye on everyone between pulls to make sure the healer is ready to keep healing. Good DPS focus on avoiding taking damage, not to stress the healer. Remember that surviving to the end of a fight is much more important than doing maximum DPS at all times. Good healers communicate with the group to let them know when they need to rest – don’t worry, it’s not a poor reflection of yourself with the item sync / level sync making it as if you were at that level with that gear. Don’t be afraid to say hello at the start of a duty. I’ve often found that just opening that dialog and being the first to speak can not only make the dungeon go by faster as everyone talks throughout, but you can also communicate strategy. Always offer strategy – where to stand, what to and not to do, as it’s critical for those who haven’t done it. 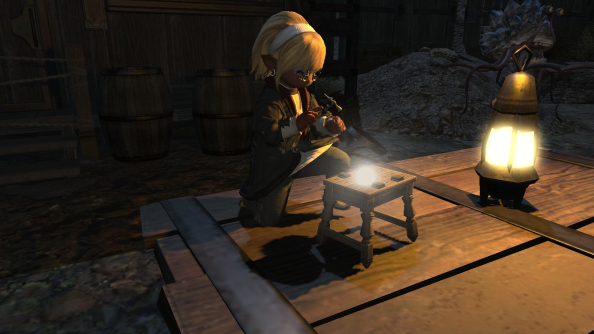 Be nice to players who haven’t played the dungeon yet – most of FFXIV’s leveling dungeons are for learning. Don’t be afraid to offer advice on how to play, but be friendly about it. Instead of being rude and trying to tell someone how to “play their class” simply offer some friendly advice on ways they can improve, phrasing it even as a tip or “little known trick” to make it less of an ego hit / accusation of someone doing poorly. Cutscenes should be enjoyed – grab a drink if someone is in one, instead of locking them out of the fight. The Dark Knight job had always been a DPS affair for a long time. 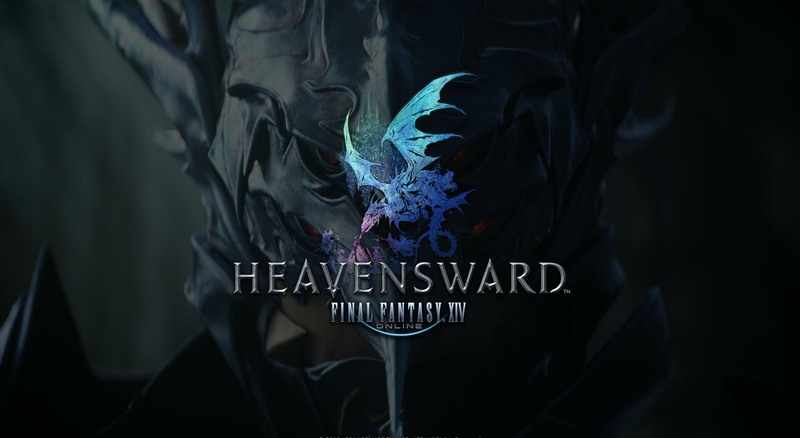 So Yoshi P and his team decided to make a change in Final Fantasy 14: Heavensward. In the first expansion, the Dark Knight is a tanking job.In fact, there was a glitch that allowed it to inflict a considerable amount of damage that was quickly patched out of the game before players could get much use out of it. Final Fantasy 11 players may be wondering why the Dark Knight’s doesn’t have a scythe. This time around Dark Knights use a great sword, but if you’re looking for a job that uses a scythe, the Botanist’s secondary weapon is a scythe. While it probably won’t fill the void left by the Final Fantasy 11 version of Dark Knight, at least you can find some nice harvesting points. 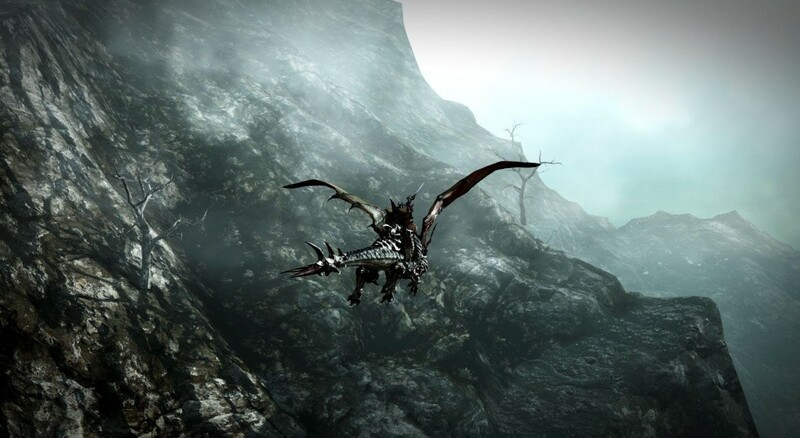 All jokes aside, let’s take a closer look at the Dark Knight in Final Fantasy 14. 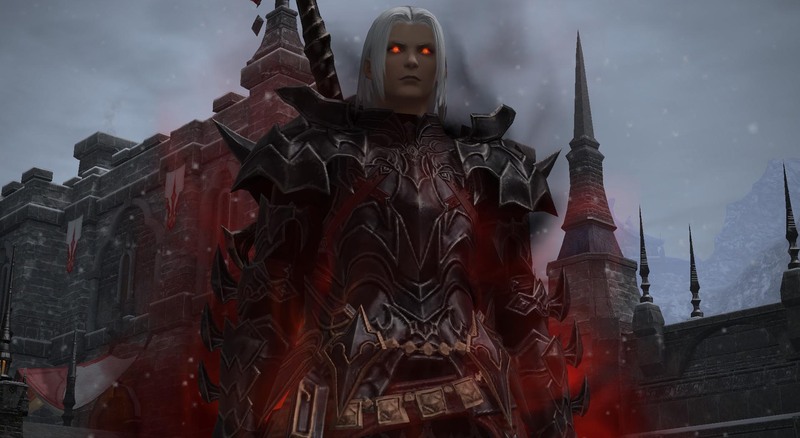 Once you have completed the main story for A Realm Reborn (and presumably have at least one job at level 30 or higher), head to Ishgard and speak with the Ishgardian Citizen at (13,8) to begin the Dark Knight job quest. After a few cut scenes and a small amount of traveling around you will gain access to the Dark Knight job, starting at level 30. As soon as the quest completes you can begin the next Dark Knight job quest to obtain the Darkside ability. While you don’t need this to start leveling Dark Knight, it’s extremely helpful, so complete the second quest to get it out of the way now. While Dark Knight is a unique tanking class, it does share quite a bit with Paladin and Warrior. Most notably, Dark Knight has two stances that it can use depending on the situation at hand. The first stance is Grit, which is very similar to the Paladin stance of Shield Oath. It generates enmity while reducing damage taken by 20 percent. However, it also reduces the damage output of the Dark Knight by 20 percent. This is your primary tanking stance and should be used at the start of a battle anytime you’re the main tank. The second stance for the Dark Knight is Darkside. While Darkside is active the Dark Knight inflicts 15 percent more damage, but their MP slowly drains in the process. 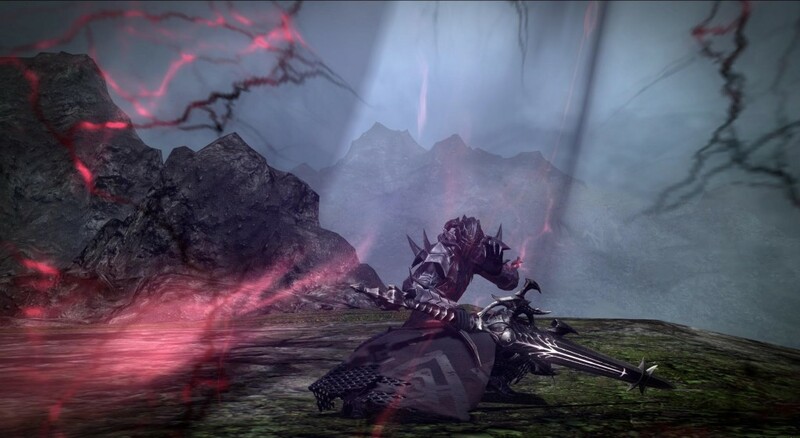 Unlike the Paladin and Warrior stances, Dark Knights can activate Darkside while Grit is active. As long as the Dark Knight has MP to burn, that means the damage output of a Dark Knight with both Grit and Darkside activate is only cut by five percent (instead of the normal 20 percent reduction from Grit). While Warrior relies heavily on TP and Paladin uses a combination of TP and MP, the Dark Knight tanks almost exclusively with MP. If you run out of MP you lose a lot of your tools and general versatility as a Dark Knight, so it’s important to keep an eye on your MP. If you have a Bard, it may be a good idea to request Mage’s Ballad when your MP starts to get low. Unfortunately, you won’t be able to rely on most Bards to do this on their own. When you first engage an enemy while tanking as Dark Knight, you should be in the Grit stance. Once you’ve established hate with your Hard Slash > Spinning Slash > Power Slash combo you can activate Darkside to increase your damage output. Since many of your attacks drain MP while in Darkside, in addition to the stance draining MP slowly, it’s important to use the Hard Slash > Syphon Strike > Souleater combo to replenish some of your lost MP. A Dark Knight should use Unleash to generate enmity on multiple enemies at once. Think of this like you would Flash for a Paladin or Overpower for a Warrior. You can also use Scourge, which is the Dark Knight’s damage over time attack and also generates a bit of enmity. It doesn’t generate as much enmity as Unleash, but it still adds to your enmity and helps out in the long run. Just like the other tanks, Dark Knight can stun enemies with the Low Blow ability. 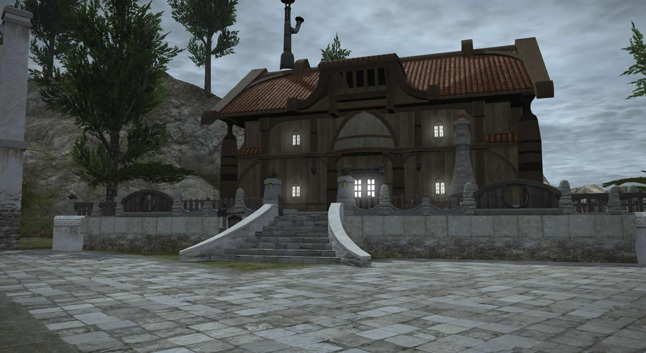 Some cheap FFXIV gils are offered here. Just click it! Good luck and have fun! How to Craft An Airship? 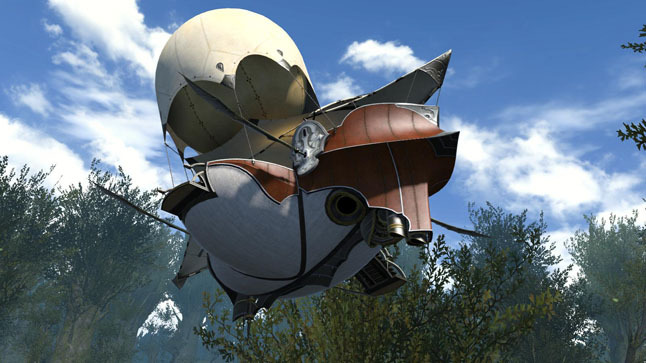 When you building airship in FFXIV, you need not consider too much about materials. Never always try to use materials. Keep in mind it won’t effect the quality rating for each phase to use HQ materials. The only you can get is the experience bonus. And you need a workshop in your FC so that you can get a high lever craft. 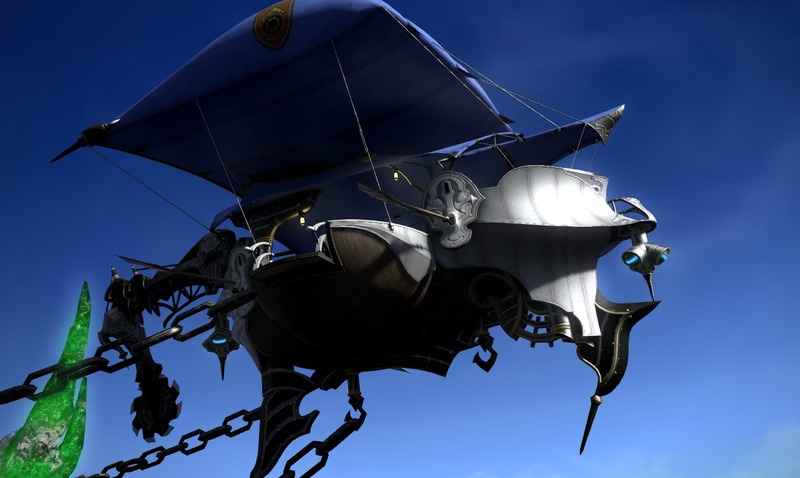 We know we will have four different airship parts and each part will have 3 phases. So you need 4 crafts with high enough level so that you can complete the various jobs. Every time you hand in a stack of items, you will get a chance to increase your quality, so that you can get a great and outstanding progress. 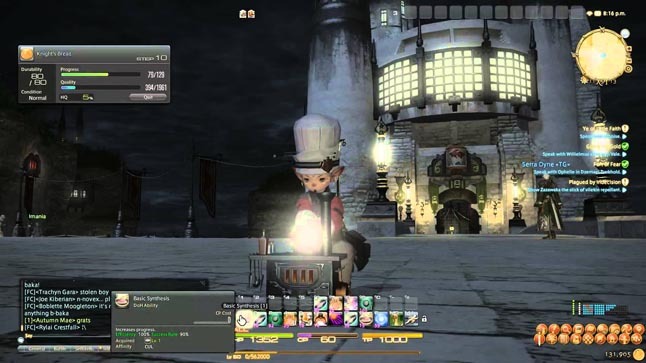 During this process, you needn’t to turn in quite many items for FFXIV. Your quality gains will be higher but that just seems to be offsetting the fact that you have fewer hand-ins during that phase. In addition, have you upgrade your Aftcastle? It is important to upgrade aftcastle for airship. Upgrading the aftcastle can improve retrieval, and this means your rating will be improved. It is an experience boost. At the same time, you need visit as many sectors as you can.The flight time from visiting sectors individually is much longer than including multiple sectors. Reading your map when you pick sectors in your journey and try to advance to sectors nearly. At last, you need ready for the enough materials, such as 18 yew lumber and mahogany lumber, 9 iron nails and so on. 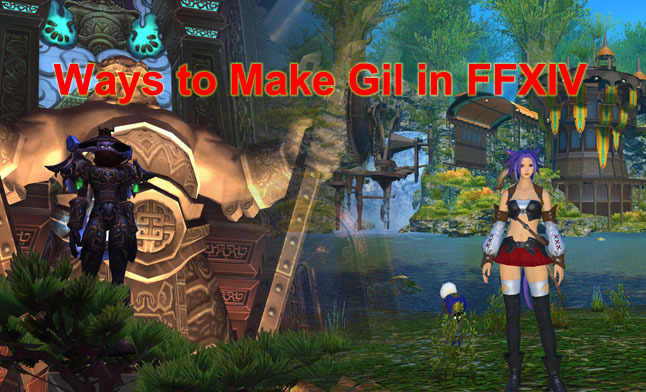 Some cheap FFXIV gil will help you a lot. If you want some cheap FFXIV gil, some information in here may help you.Good luck.